Description: bamboo with writing, Philippines. Palawan. (Tagbanua). 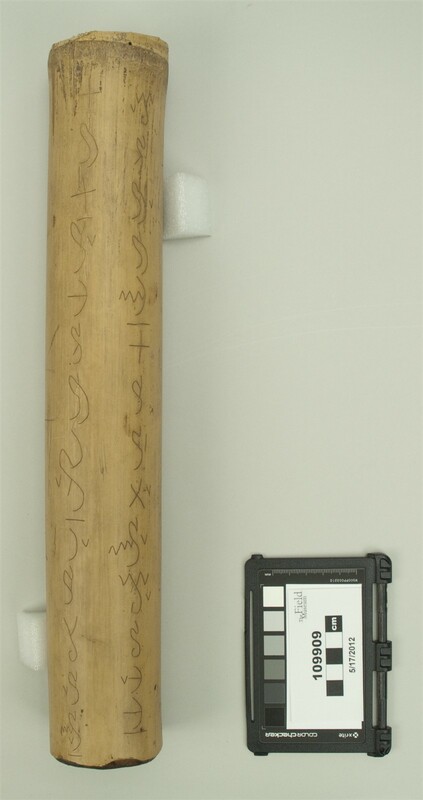 Sections of bamboo with writing., Name: Bamboo section with native writing. See card in front of 109904. | Notes: See "writing" No 4. 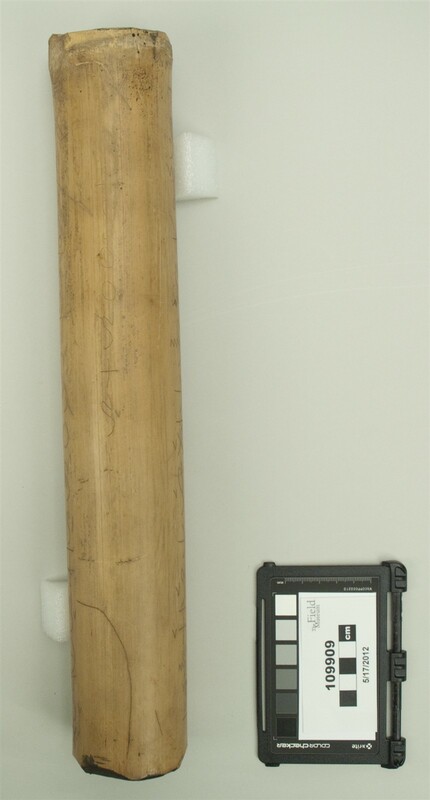 Description: bamboo with writing, Name: Bamboo section with native writing. See card in front of 109904. | Notes: See writing No 6. Description: engraved ink cake, Ink cake with two engravings of mountain scenery: 青鸞峯 Qīng luán fēng and 浮邱峯 Fú qiū fēng.